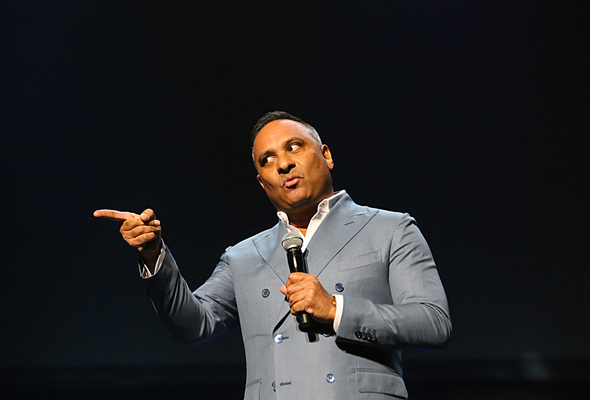 Famous funnyman Russell Peters will be the first star to grace the stage at Dubai Arena this summer. The stand-up comedy superstar will make his return to Dubai on Thursday June 6, making him the first act to grace the stage at the epic new arena at City Walk. Tickets will go on sale at 1pm on Sunday April 7, with tickets priced from Dhs200. There will be five ticket categories available for the gig, starting at Dhs200 for bronze up to Dhs950 for platinum. The Emmy award-winning comedian is back in Dubai for the third time, promising all-new material as he brings his Deported World Tour to the city. As well as witty observational comedy and the classic audience involvement the comedian has become famous for, guests can expect a laugh-out-loud show later this year. The Deported World Tour kicked off in Australia and New Zealand in February 2018 and has already travelled to over 29 cities in 20 countries and been seen by over 100,000 fans worldwide. When it arrives at Dubai Arena, the Deported World Tour will become the first show ever to take place at the state-of-the-art venue. Upon opening, Dubai Arena will become the largest all-purpose, air-conditioned indoor arena in the Middle East with capacity to host up to 17,000 guests for a variety of events. The venue will be managed by international operator AEG Ogden, who are also responsible for The O2 Arena in London. As well as concerts and festivals, conferences and exhibitions, Dubai Arena is expected to host sporting events such as basketball, boxing, volleyball, and ice hockey.